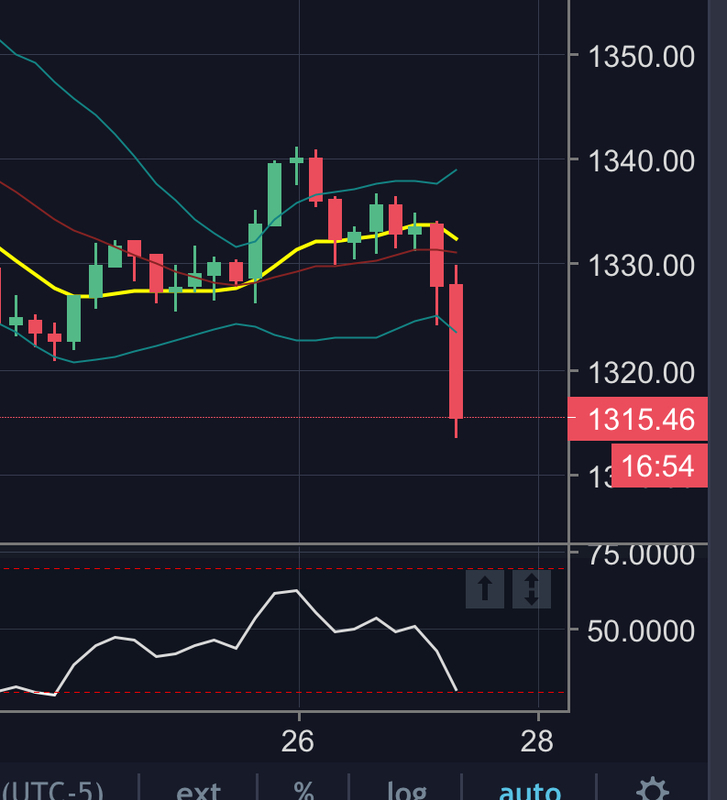 In deference to the title here; Gold ran out of buyers, there was blood in the water, Monday's failed rally was the final straw, and Commercials rightly their foot on its neck. Did you expect anything different? What is different is we have the play by play giving the alerts to the break higher, the failure, and the reversal; All captured using a system that handicaps likelihood of volatility increasing. Now if only it could tell us who put their foot on the market's neck. 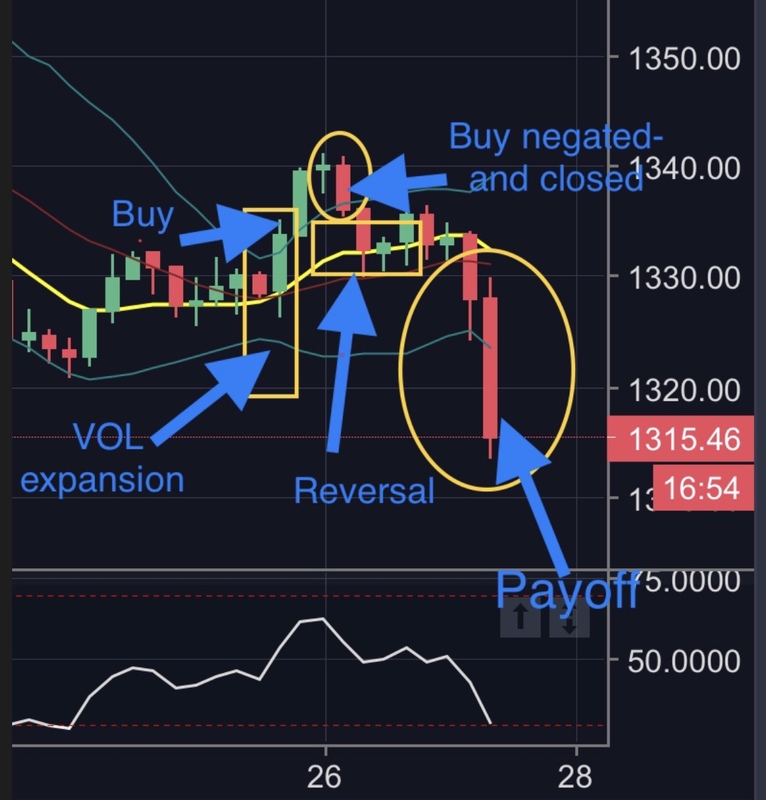 This is an updated post that tracked Gold’s behavior from Sunday night through today using a proprietary signal that warns of expanding volatility. Augmented properly, it gave us an excellent risk/reward trade from both the long and short sides. It’s just a trade. The market isn’t going away. More opportunities will come. Nothing has changed to justify negating a target of $1700. I’ll start to worry under $1275. Finally: having asked Vince to update the post, he commented that his own crystal ball is muddy from here. Asked whether this is a dip to buy, or the beginning of an even greater expansion of volatility lower- he couldn’t say. And on that “sunny” note, we will leave you to catch up with what was easily the answer key these past 3 days. About the author: Vince Lanci has 27 years’ experience trading Commodity Derivatives. He is most recently published on “Volatility in Energy Markets” in partnership with UCONN and professor Robert Biolsi. Lanci is known for his passion in identifying unfairness in market structure and uneven playing fields going back to his first anonymous Zerohedge post on Silver. He remains a contributor to Kitco, Zerohedge, and Marketslant on such topics. Vince contributes to Bloomberg and Reuters finance articles as well. He continues to lead the Soren K. Group of writers on Marketslant. Sunday Evening: This evening spot gold has generated a risk reward buy signal predicated on expanding volatility. profit target of 1.5 to 2.0 times capital risked using the advised stop. [EDIT- This is a professional speculation system discussed many times in this space. It is not technical analysis, and is based on volatility cycles. The basis for its validity is 25 years of successful use in options and futures trading. The disclaimer: Don’t be stupid. Think for yourself. But if you understand the risks associated with these type of compartmentalized trades then you should be able to understand what it means to risk 1 to make 2..
System advises trailing stop loss up to point of entry. Target not hit in 3 bars warns of failed momentum higher. Signal negated. Target not attained. Instructions in this post would have given a scratch trade. We move on to other markets that present signals. Though not backtested; a reversal lower is on the table now as the system predicts accurately an increase in Vol. point is, with a trend reversal in mid stream of volatility expansion, could get ugly.We will not trade the reversal as a result of the lack of data here.